The start of the new year was a historic one for the Hawthorne Fire Department. January 1 marked the first time a female firefighter has achieved a leadership position among the all-volunteer group. Morton has been a firefighter for six years and originally joined Fire Company No. 2 because she wanted to challenge herself to do something, she believed to be outside her skill set. 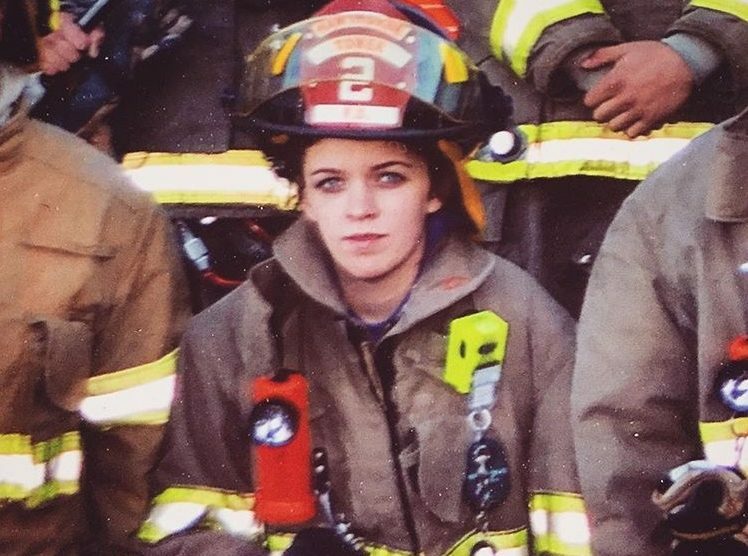 The Morton family moved to Parker Avenue from Ridgefield Park when she was six and she had no family tradition in the Hawthorne Fire Department. Then on day, a high school friend, Travis Lodder, a lieutenant in Company No. 2, asked her to join the department. “I decided to give it a try,” she said. A bank associate at Capital One in Ridgewood, Morton was’t an athlete in high school nor was this profession one that had interested her. Morton said she had difficulty carrying heavy hose packs and definitely had to get over any fear of height as she trained on the aerial ladders. In her experience with the ladder company, Morton said they often respond to mutual aid calls in Paterson and she has no qualms about climbing the 104 food tower on the truck. And now as a second lieutenant, she’ll be leading a crew of volunteer firefighters into smoke-filled buildings.